Remy Single Drawn Weft Hair is widely known as virgin hair and is highly popular in the market. We provide Remy Single Drawn Weft Hair in a tidy packaging in which the hair roots are kept on one side and the tip on the reverse side. Remy Single Drawn Weft Hair, offered by us, is appreciated for superior quality, natural shine, soft texture and detangled attributes. 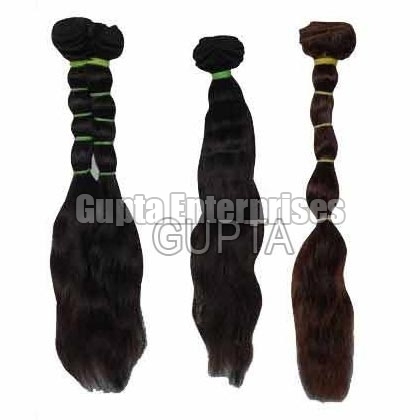 Further, we provide Remy Single Drawn Weft Hair in different colors and sizes.